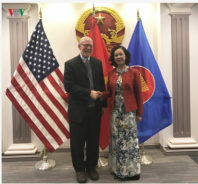 The Communist Party USA enjoys a warm and special relationship with the Communist Party of Vietnam (CPV) dating back to the American war in Vietnam and the role the CPUSA played in building solidarity, the anti-war movement and supporting the normalization of relations afterward. So, it’s always a special occasion when the two parties meet. A delegation from the CPV was in the U.S. at the end of November and made sure their working visit to Washington D.C. included a get-together with the CPUSA on Nov. 30. Trương Thi Mai, a member of the political bureau of the CPV and chair of the committee on mass mobilizations, led the delegation. 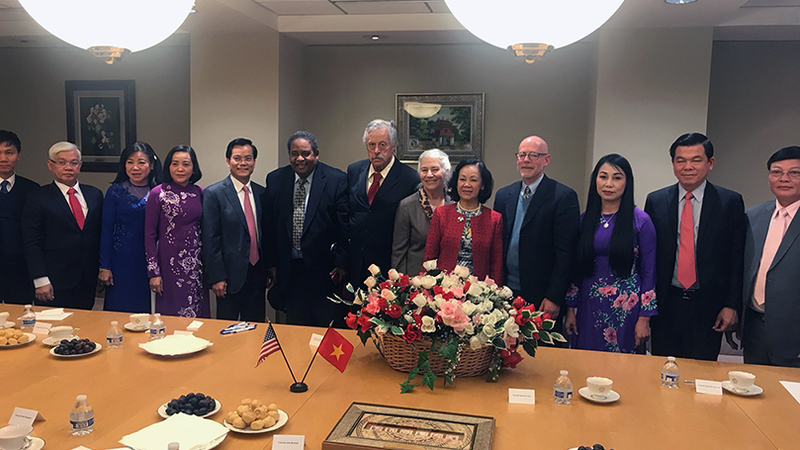 Ambassador to the U.S., Ha Kim Ngoc, three provincial party chairs and several other representatives, joined her. Comrade Mai is one of the highest-ranking women leaders in Vietnam. All three provincial chairs were women, who now make up 25 percent of government elected officials. The CPUSA delegation included national chair John Bachtell, secretary-treasurer Roberta Wood, Chuey G, and international secretary Emile Schepers. The CPV delegation was in the U.S. and Canada to meet government and political leaders and promote bilateral relations, trade, and cultural exchanges. In the U.S. they met with members of Congress, the Departments of State and Labor, and community, civic and student leaders. Comrade Mai shared with the CPUSA delegation the latest achievements of the Vietnamese people. They include an increase of 6.8 percent in economic GDP this past year, and growth in trade, which has resulted in exports exceeding imports. Meanwhile, unemployment has fallen to 4 percent, and poverty has dropped from 58 percent in 1975 to 5 percent today. Mai said the party was taking steps to strengthen itself and its role in society, expanding the participation of people in all aspects of economic and political life. It is engaged in an anti-corruption campaign which has resulted in the removal of some party leaders from office. 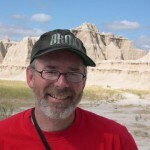 The CPUSA shared analysis of the 2018 election victories and the need for continued solidarity against the Trump administration and global alt-right, fulfillment of U.S. obligations to address the destruction from the war especially the effects of agent orange, and the organization of more people to people exchanges particularly between the U.S. and Vietnamese labor movements.